Tata focus on Electric Vehicles is quite evident after the recent unveiling of EVision sedan concept. The Indian brand is also supplying Tigor EV to the Indian government through a contract. Now, Tata is working on new battery packs that will increase the range of future Tata electric vehicles. The low range of electric vehicles is one of the major concerns in the present market. Lack of charging infrastructure makes it extremely difficult for the current EVs to become successful in India. 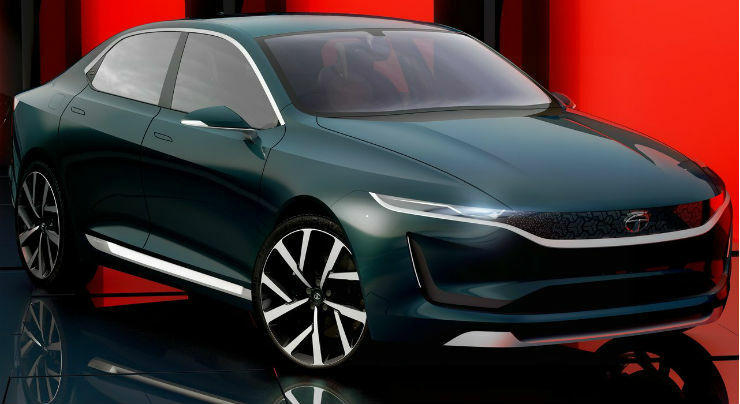 In an interview to ACI, Guenter Butschek has revealed that the Tata EVision is powered by cylindrical-cell lithium-ion battery pack. This technology is similar to what Tesla cars offer. Tata has not revealed the full details of the battery yet but has mentioned that battery will have enough juice to go over 300 km on a single charge. The new age battery pack is quite space efficient and is cylindrical in shape. The battery packs will be liquid-cooled that keeps the operating temperature low and increases the life of the battery. Butschek has also said that it is possible to develop a battery pack that can deliver a range of 400 km. There are two new platforms developed by Tata Motors – ALFA and OMEGA. Both the platforms support electric vehicles. The EVision concept that was showcased at the 2018 Geneva Motor Show attracted a lot of visitors to the vehicle. The EVision is built on the OMEGA architecture, which has been derived from Land Rover’s D8 platform. Currently, the Indian market only offers the Mahindra electric vehicles that have a maximum range of around 140 km. Tata is expected to offer the Tiago EV and Tigor EV in the market soon. Details about the range of Tata cars is not known but it is expected to be around the 120 km mark. With no charging infrastructure in place, customers feel range-nervousness. The upcoming breed of electric cars is expected to lower that. India will see a slew of electric cars in the near future. Hyundai has announced the launch of Kona electric in the Indian market in 2019. It will be locally manufactured or assembled in India to keep the cost low. Nissan may launch the Leaf EV in India and is currently studying the feasibility. With the arrival of such vehicles, more manufacturers may join the party soon.